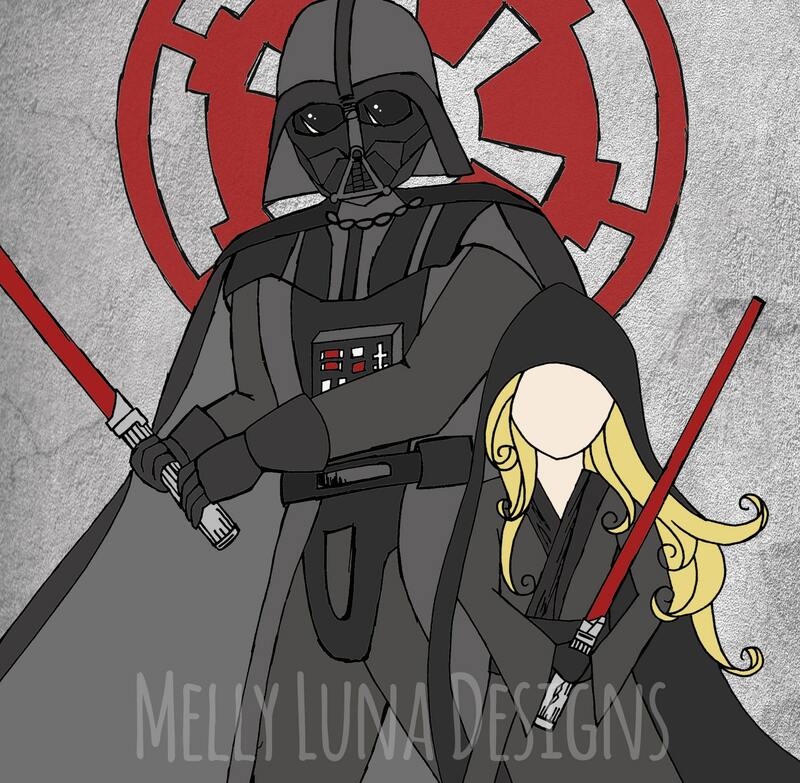 Inspired by the commanding Darth Vader in his battle stance. Plus! a little protege. 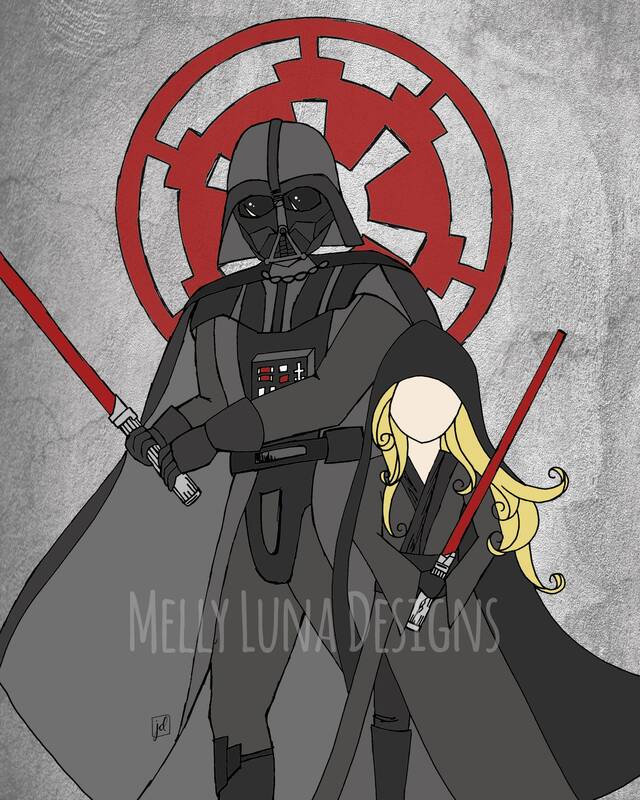 This was originally commissioned as a gift for a little Vader fan and her uncle.